Bow fronted Règence commode. 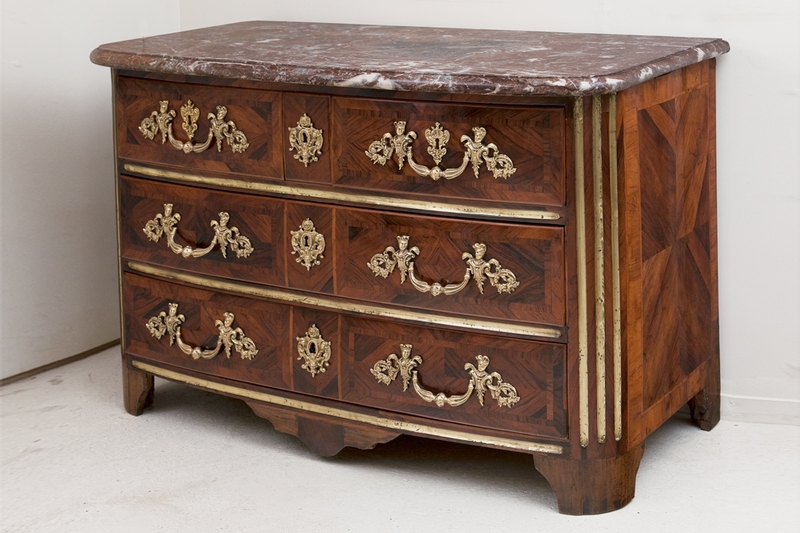 Rosewood geometric marquetry with four drawers in three rows, the sides with inlaid brass fluting. Gilt bronze mounts and later handles. Red and grey veined marble top. France circa 1715. H. 82 W. 129 D. 64 cm. H. 32 W. 51 D. 25 in.